A team of NASA and MIT engineers has built and tested a “radically” new kind of airplane wing they say could help more efficient planes take flight. The future of flight is flexible – at least, that might be the case if this new wing design takes hold. 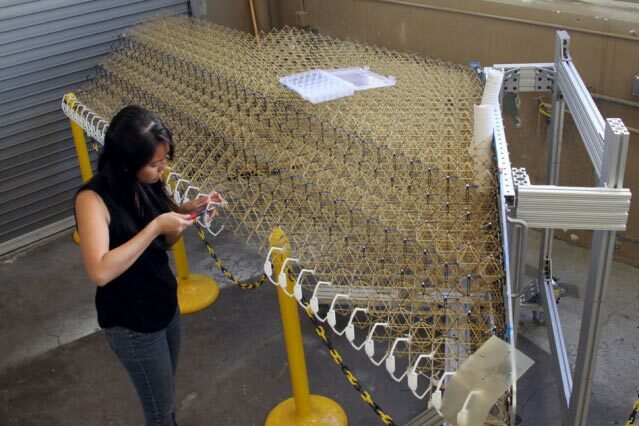 The wings, created by NASA and Massachusetts Institute of Technology (MIT) engineers, comprise thousands of tiny triangles of matchstick-like struts bolted together to form an open, lightweight lattice framework, which is covered with a thin polymer layer. According to the developers, this forms a mechanical metamaterial with the stiffness of a rubber-like polymer and the lightness and low density of an aerogel. 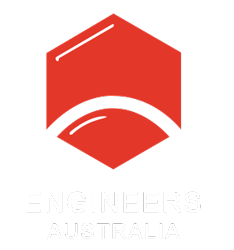 The lattice has a density of 5.6 kg per cubic metre, compared to rubber with a density of 1500 kg per cubic metre. The material’s mix of stiff and flexible components means instead of requiring separate movable parts such as ailerons to control the roll and pitch of a plane, parts of the wing – or the whole wing – can deform for the same effect. According to Benjamin Jenett, a graduate student in MIT’s Center for Bits and Atoms, each phase of flight from take off to landing has optimal wing parameters. Conventional wing designs are a compromise to accommodate these many stages, but that requires sacrificing efficiency. A deformable wing, on the other hand, can change shape as needed for each stage of flight. Rather than use cables or motors to change shape, sections of this prototype wing are designed to respond to stresses – like changes in aerodynamic loading conditions – in specific ways. The prototype is about the same size as what you would need for a single-seater plane. The new wing design was successfully tested in NASA’s high-speed wind tunnel at Langley Research Center. Although it was put together by hand, Jenett said in the future this assembly would be a job for swarms of small, simple autonomous robots (designing and testing this assembly system is the subject of a future paper for the group). Parts are manufactured using injection moulding with polyethylene resin. Each triangle can be printed in just 17 seconds. Despite upfront investment in tooling, Jenett said this makes the parts extremely cheap to create. “We have boxes and boxes of them, all the same,” he said. Jenett added that the same system could be used to make other structures as well, including blades for wind turbines. As the technology improves, he said structures for spacecraft and bridges could be added to that list. “You can make any geometry you want,” he said. So what is it then, 3D printed or injection molded? The article mentiones tooling, 3D printing does not require tooling.